With the inclusion of unlimited domestic calling the $19 plan is now one of the least expensive unlimited talk and text plans available from any operator. The plan also includes 100MB of data. The total package of data, unlimited domestic and international calling and texting and international call credit is unmatched at the $20 price point. The new features of the $19 plan are available immediately with new activations and will be enabled for existing $19 plan subscribers within 48 hours. 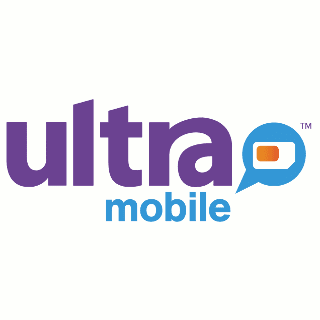 Ultra Mobile is a T-Mobile MVNO which launched in October, 2012. Ultra is a market leader in providing low-cost international calling options. All Ultra Mobile plans include international direct dialing, unlimited global SMS and Call Me Free, a no extra charge service that provides local access numbers in 40 countries that non-US family members and friends can use to call Ultra customers for the price of a local call. Ultra Mobile is available from an extensive network of local dealers (dealer locator) and online at ultra.me. 1 Plus a "cost recovery fee" of 50¢ on airtime loads of $10 or less and $1 on airtime loads of $10.01 or more. 5 Throttled data speed is approximately 128 Kbps. Additional 4G data is available: 1GB for $10. Added data replaces any remaining data in the account and expires at the end of the current plan month. A family member could use this for their home phone. But, anyone got a financial profile on the firm? Makes me nervous that they can not survive. How stable is UltraMobile? That's a raging good deal! They've been around since 2012, if that settles your fears. They also seem to be hiring - they have 17 listed positions to apply for. Glad to see someone aggressively responding to Lycamobile's $23 plan. Every time an MVNO lowers their margin is not a good sign. Lower margins equal lower profit. Hopefully they will stay around for a while. Agree, hopefully they stay around. Remember they charge a fee on top of the $19 price point for adding funds through their website!!!! Regardless, phenomenal plan. Coverage is abysmal though on T-Mobiles native network. We are a small MVNO, and relatively new. We only have a few retail stores, and sell mostly through good dealers. We build an excellent dealer portal, and offer them dedicated, US-based phone support. We know and service dealers’ needs very well and because we used to be a large dealer ourselves for another MVNO on the same network. Customers used to reach our call center in the Philippines, but it was hit by a big earthquake a few months ago, and we routed calls to our dealer support office out West, and our office in FL. Depending on when you call, you may reach one of our US offices now. When we created our company, we thought about the things that customers did not like about competing MVNOs, and improved them. We negotiated our MVNO contract in an innovative way and solved the 2 biggest issues customers had. Our plans also filled in a few gaps the competition had not covered very well. We are growing slowly, but thanks to our very low cost structure, and our excellent independent dealers who can service you well with our dealer portal and support staff, we plan to be around for a long time. If you try one of our excellent dealers and our service plans, we know you will like us! We have a winner of the Quiz of the Week! Selectel is correct. Their stores are in NE, and maybe one in FL. They have offices in CO (dealer support) and FL, and the last 3 calls I made were to US offices. My dealer speaks very highly of their dealer support. Selectel does not have many employees, and leverages their dealers. Probably explains the high activation fees - use a dealer instead. Their innovative MVNO contract bypassed Vzw and was signed with Vz Communications, giving them access to free roaming like postpaid. They never had an issue activating iPhones, perhaps due to their contract. They also hit a couple of gaps in PagePlus plans (they used to be a big PagePlus dealer). Their low pay-go data rate of 5c/mb probably pushed PagePlus to finally lower their 99c/mb rate! My wife used Selectel for 10 months, and never compained about coverage, CS or call quality. Just the slow data. Just curious, many of you mentioned T-Mobile native coverage, is it different compared to T-Mobile postpaid coverage? I currently use Lyca, I see the coverage is so bad, no signal in some buildings. I am in Chicago. Considering port out to H2o. It seems Ultra and Lyca has the exactly same coverage, which is smaller than regular T-Mobile coverage. Native=TMobile=Prepaid=No roaming at all. Check the coverage map and you will see why coverage is abysmal. Native t-mobile coverage, I guess that why the price is so low. Do the actually send you a bill every moth or it's a refill without bill like Spot Mobile and other MVNOs? Lycamobile US is more competitive. Lyca's cheapest unlimited plan is $23. That's $4 more and it's no extra cost data is limited to calling only Lycamobile customers. How is that more competitive? "it's no extra cost data is limited to calling only Lycamobile customers." My mistake. It should say "Lyca's no extra cost international calling is limited to calls between Lycamobile customers." Ultra charge $1 for anyplan and collect tax, so the $19 plan finally end up with paying something like $21? The $1 fee is only on purchases from 3rd parties like CallingMart or independent dealers. Dealers in some states will add taxes, Callingmart doesn't. Only taxes are charged when buying airtime directly from Ultra, there's no $1 fee. I assume that Ultra has the same coverage as Lyca does, Lyca sometimes don't even have signal in the cinema in downtown Chicago, my friends currently use Ultra and he says the coverage in Chicago is not stable as well, but just little bit better than Lyca in Data. Anyway this $19 plan seems a better deal than Lyca's $23, also Lyca's CS department is so bad, their online chat is not efficient at all. What phones are compatible with ultra mobile? T-Mobile phones and unlocked GSM phones. This is a good smartphone plan only $20 for unlimited talk and text. Then add data as needed at $5 for 500MB or $10 for 1GB. Which means 1GB and unlimited talk and text only costs $30/mo. Does the $2.50 data add-on include 200MB or 250MB? Sick and tired of Sprint crappy network. Yes, You can bring your own phone to Ultra. But Sprint phones won't work. Any T-Mobile phone as well as unlocked AT&T and unlocked GSM phones will work on Ultra Mobile. Some AT&T phones may not support LTE on Ultra. Sprints network is a lot better than Tmobiles. Sprint is the 3rd largest and Tmobile is the 4th. Before you switch see if Tmobile has good coverage in your area. Good deal BUT ATT signal is much better. I'm using cricket 5 lines group plan at $110 total $22 each. No tax and 500mb each then unlimited throttled. Comparision is not relevant since the article is about a single plan, not a group discount. Hi Dennis, could you add a prepaid carrier profile for Ultra Mobile? I checked some of 3G Wireless rates and they seem more expensive international pay as you go calling options including Lycamobile, PTel and Google Voice. SIMs are pricy too; $29.99 with $10 call credit included. What really sweetens these deals is including LTE speeds -- a lot of these cheap MVNOs only have 3G. i'm using Ultra since last 6 months and when it connects the coverage is good. but data speed is pathetic in alpharetta. inside building the signal is just 10-15%. i'm on 12 months plan and cant go in between. so far i never see LTE on my mobile and still the speeds of data is in KBPS. in some places the coverage is better but data is poor.